More than a thousand years ago, ninjas belonging to the Soukai Syndicate committed a forbidden form of hara-kiri, and stored their souls in the ancient Kinkaku Temple. Now, in the dystopia metropolis of Neo-Saitama, these sinister souls have been resurrected, and wreak havoc across Japan. Average salaryman Kenji Fukijido's wife and children are killed in a ninja crossfire. 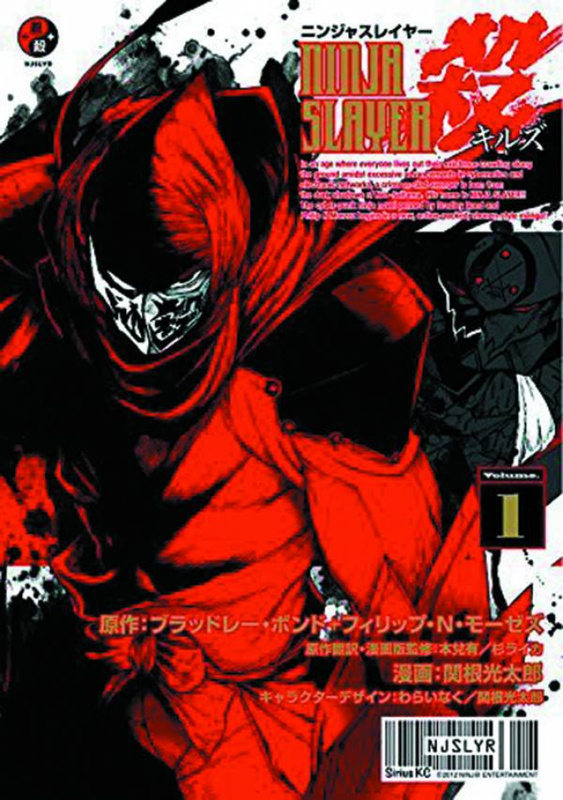 After a near brush with his own death, Kenji becomes the Ninja Slayer - a warrior obsessed with killing every last ninja to avenge his family.